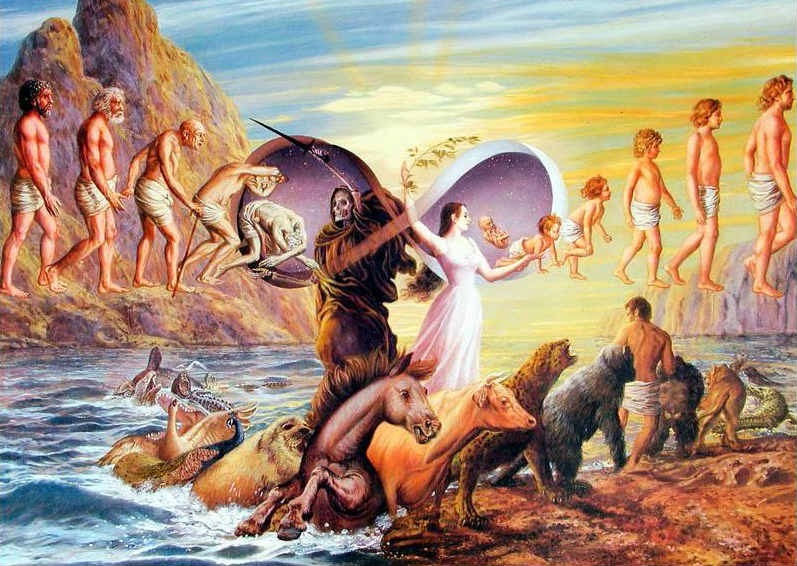 Reincarnation is an ancient belief not only in India but also in ancient Greece and in early Christianity. The research of Dr. Ian Stevenson is one of the most respected and well known collection of scientific data to prove that reincarnation is real. Dr. Stevenson used to collect data of children who spontaneously remember a past life. He recorded their statements and verified the facts of the departed individual which rules out all possible "normal" explanations for the child’s memories. Professor N.K. 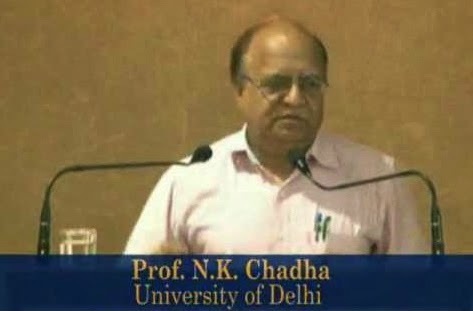 Chadha of Delhi University worked together with Dr. Ian Stevenson in India during 1990's. The most interesting of all the cases examined by Professor Chadha is that of Titu Singh. It is one of the most fascinating cases of double birthmarks, and made its appearance in a London-based magazine, Reincarnation International. BBC was the first to broadcast this story in a news program Forty Minutes in 1990. Titu was born in a village of Bad, nine miles from Agra in December 1983. He began speaking at the age of one and half, sooner than his five siblings. From the age of two and half years, he started claiming that his name was Suresh Verma and he was the owner of an electronics shop in Agra which specialized in radio and TV. He asserted that Uma Verma was his wife and they had two children. From early on he demanded “Tell my grandfather to look after my children and my wife. I am having my meals here and am worried about them.” When his mother asked who he was, he replied that he was from Agra. He recalled about his death in great detail in which he was shot in his head a late evening when he returned home in his Fiat from work. As usual, he blew the horn so that his wife Uma would open the gate but all of a sudden two men appeared running dangerously towards him. They open fired at him, in which one of the bullets hit him in his head which resulted in his death. 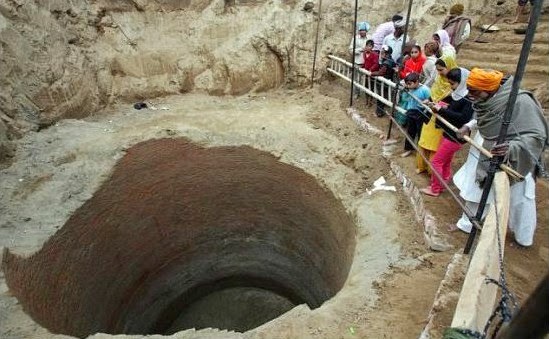 He was cremated and his ashes immersed in a river. Titu was often aggressive towards his parents and did not believe in them. He used to say that his mother would not wear such old sarees and often got frustrated and threw plates and utensils around. He stubbornly maintained that his real parents lived in Agra. He said that their house was dirty and he did not want to stay. He also said that his house was very big. He normally refused to travel on foot or a bus, and said that he used to travel in his car. Initially his parents did not take him seriously (as most of the normal parents would do) but his activities often perplexed them. He often behaved as if he was not a part of the family. As he grew older, Titu used cry almost everyday saying that he was homesick and wanted to go home back to Agra. Gradually he became more and more insistent and one day he packed his clothes and threatened to leave home. Slowly he began providing more information about his previous live. He said that he had a shop in Sadar Bazaar in Agra and named one of his brother (Raja Babu) and sister (Susheela). He was upset that his father used to go to Agra to teach Chemistry at a college but he never took him to visit his home. He once told his elder brother and a friend that he was a smuggler and owned a shop of transistor and radios named Suresh Radios. During a stay in Agra, his elder brother with his friend decided to verify his claims. 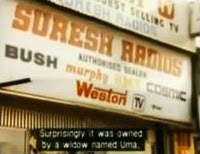 He was shocked to find a TV, radio shop named Suresh Radios in the Sadar Bazaar run by a widow named Uma Verma. They spoke to her and learned that her husband Suresh Verma, who used to be a noted smuggler and the owner of the shop was murdered on August 28, 1983 in exactly the same manner as described by Titu. He was speechless. He then described how his younger brother claimed to be Suresh Verma, her deceased husband. He told her everything that Titu used to tell in his home. Uma was very curious to meet the boy who claimed to be her deceased husband. She informed about the incident to rest of the family. They decided to pay an unannounced visit to Titu's home to verify the claim. Uma along with Suresh's parents and his three brothers left for the village in April 1987. Titu immediately recognized his parents, his wife and his brothers and was so happy that he ran up to them and hugged them all. He then drummed on a stool with his hands as an expression of joy in the same was as Suresh used to do in his childhood. Titu then asked Uma to sit close to him and asked about the children. Then he surprised the widow by narrating the details of a trip to Dolpur to a fair with their two children where Suresh had bought some sweets for her. Before they left, Titu observed that they had come in a different car as his car was white. Although he had not seen a car before, he played the audio system in the car and successfully drove it for a short distance with the help of his previous life brother Raja Babu who handled the brake and clutch pedal. He became furious when he realized that they were not taking him to Agra. He threw his shoes at his mother saying that he was not hers and she was not his mother. When his father tried to take him away from his former family, he resisted very strongly tearing his shirt. He hugged to Chanda Singh, Suresh Verma's father, who then persuaded him that he will visit him again. It was then decided to take Titu to Agra with his parent's permission to confirm the memories of his past life. When they reached Agra, arrangements were made for Suresh's children to play among neighborhood children. Titu recognized Suresh's children and singled them out from the rest. 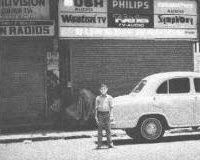 Then in an attempt to show the radio shop, Suresh's brothers tried to mislead him on purpose but the four year old could not be fooled. He shouted “Stop! This is where my shop is!” when they were approaching the shop in the fast moving vehicle. He also identified modifications in the shop made after Suresh's death. After identification of several things, finally Suresh's family was convinced that he was a reincarnation of Suresh reborn as Titu. Titu's family has a mixed feeling about his relationship with his former family. His mother do not mind him talking about his former family. But his father worries that he might go to live with his former family once he grows older. Suresh's parents are certain that Titu is their Suresh reincarnated. He greets them with affection. Once he came across a former nanny who thought him to be one of Uma's sons. Titu got annoyed at her saying “Don't you know who I am?”. Titu accurately described how Suresh was shot by two men in his head in late evening while he was sitting in his Fiat. He had just arrived home from work and was waiting for his wife to open the gate. This fact was confirmed by Uma. Autopsy report of Suresh confirmed that he was shot in his head and died of the bullet wound in his right temple. The autopsy showed the exact size and location of the wound and also the exit wound on other side of his head. Titu has a round dent on his head from birth which coincides exactly with the entry location of the bullet. 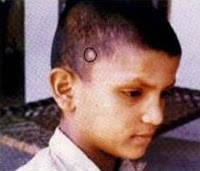 He also has a second birthmark on his head (a star shaped scar) which coincides with the exit location of the bullet. Titu later remembered the name of his murderers. 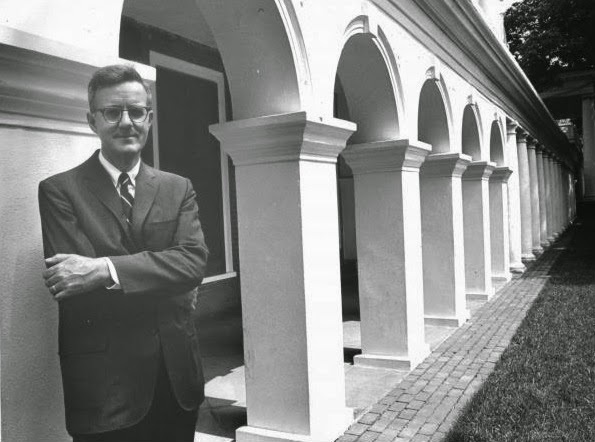 A businessman named Sedick Johaadien was the one who fired the bullets at him. When Agra police questioned the man, he confessed to the murder. Titu narrated the details of the crime to an Agra court and the court was convinced that he really is the reincarnation of the deceased Suresh Verma. This is one of the best documented cases of apparent reincarnation because of the involvement of the police. Titu Singh's emotional outcome to apparently finding himself in a child's body with memories of his past adult life provides a powerful testimony to the intense feeling experienced by many young children in such conditions. Antonia Mills, an associate of Dr. Ian Stevenson has done a detailed case study on this case in her papers – A Replication Study: Three Cases of Children in Northern India Who Are Said to Remember a Previous Life. 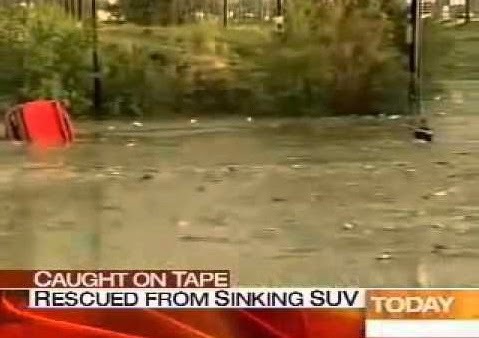 On Sunday, August 27, 2006, a 35 year old woman, Charlene de Herrera was rescued from flash floods in Colorado and the incident was caught on tape. Pueblo city in Colorado faced a severe thunderstorm with hail and winds blowing 60 to 80 mile per hour. The storm pored three inches of rain within two hours. The drainage systems failed and caused flooding of drains. There was an underpass on Pueblo street which was flooded like a lake. 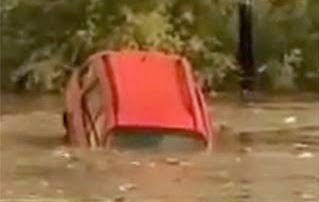 Charlene was returning home from her workplace at Wendy's (a fast food restaurant) in her red SUV when she was trapped in the flood waters on Pueblo street. The floodwater carried the SUV down the road in 10 feet of water. She freaked out and panicked to such an extend that she could not even get off from her seat. She was trapped inside the vehicle with all four windows closed and did not knew swimming. Dr. Rocky Khosla, who was stopped by the high waters was the first to swim out to help her in the dangerously rising waters. He picked up a stick from the muddy water ans started beating the window furiously but could not break the windshield or windows. Terrified bystanders witnessing the horrific scene dialed 911, as her car slipped into the abyss. A few daring men tried to help Charlene but their endeavors were futile. 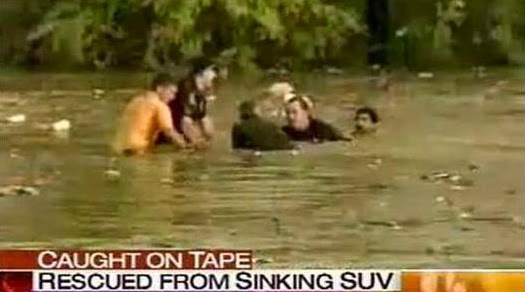 In a desperate attempt to save her, Howard Absetz, a 43-year-old unemployed store manager somehow managed to reach her through the front window of the SUV which was almost fully submerged. Absetz said that he was socked to feel her grasp his hand. He became confident that he could save her after she grasped his hand the second time even more firmly. He grabbed her around the back of the neck and hair was able to pull her out of the water through the window of the driver's door. 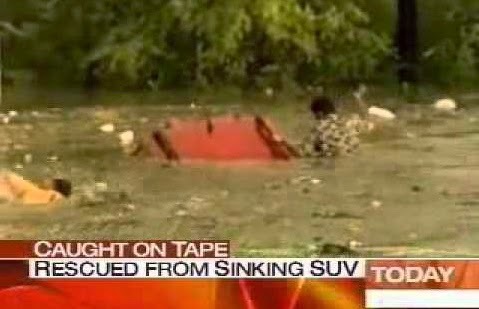 She came out of her driving seat to the surface and was rescued from the submerged SUV. Paramedics and firefighters arrive on the spot and extend a ladder for Charlene and her rescuers to move out of the water. The strange part of the story is that Charlene was driving the SUV with all four windows up. The windows were still up when she was trapped in the flood, and even when the vehicle was being pulled out from the water. It is still a mystery to those involved in the rescue operation and many others as to how the rescuer reached Charlene and grasped her hand when all windows of the SUV were up! When the SUV was towed out of the water, all four windows were intact and still closed. All the doors were also closed. It is still unclear how Charlene managed to escape. Neither Charlene nor her rescuer Absetz, has an explanation to the mysterious events that happened on that fateful day. 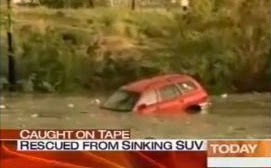 Episode #72 of Mythbusters focused on getting out of an underwater car. They discovered that you cannot break a window submerged only in 2 feet of water without a window breaking hammer. The window cannot be rolled down under water. You cannot roll the window down under water. The pressure of the window glass against the frame is so high that the gear is practically immoveable and power windows also cannot overcome the pressure differential. The doors can be opened only after the vehicle is fully filled with water. Some believe it to be a divine intervention while others believe it to be something supernatural. Charlene may have had angels on her side. There was something which cannot be explained. 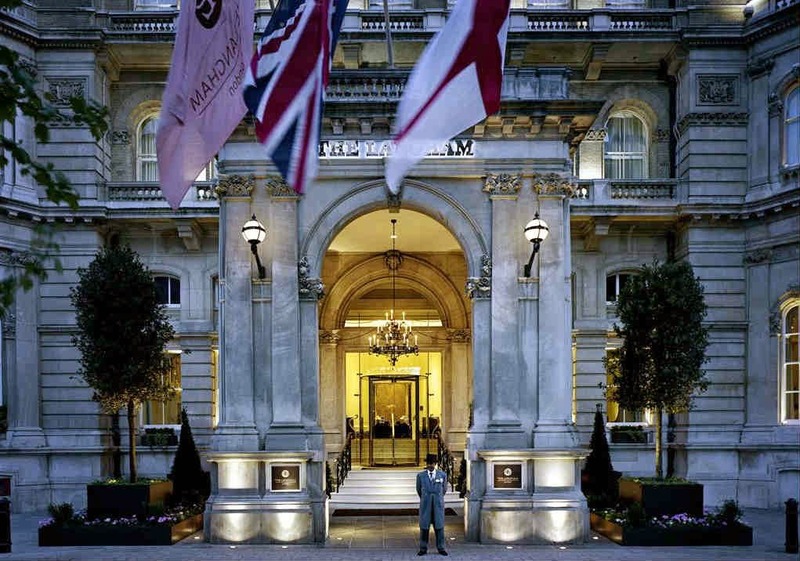 The English cricketers residing in The Langham Hotel in London during the Investec Test Series 2014 between Indian and England are experiencing an unusual bizarre phenomenon. 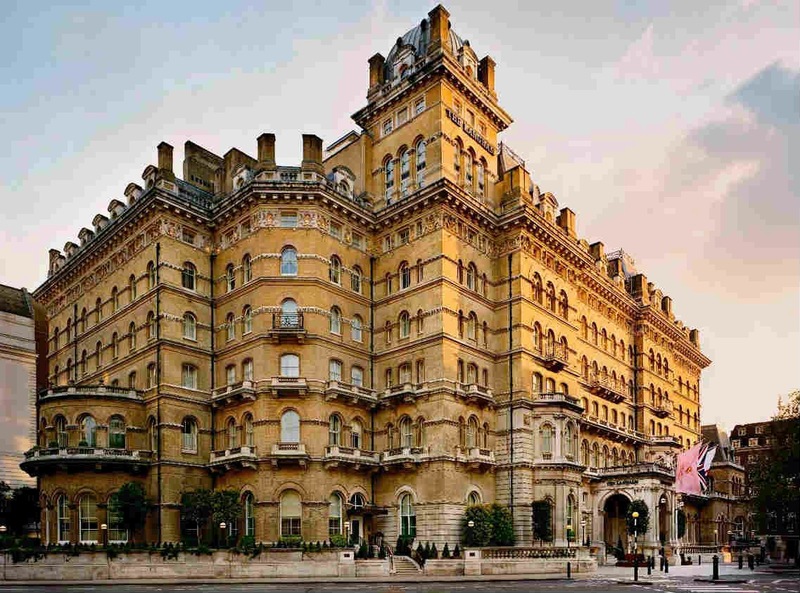 On July 20, 2014, several English cricketers have requested to change their rooms after they encountered freakish incidents in the haunted hotel. After complaints of mysterious happenings in the hotel at night, even the wives and girlfriends of the players refused to stay in the hotel. England’s poor performance might even be related to the mental stress created by the presence of the ghosts in their hotel. 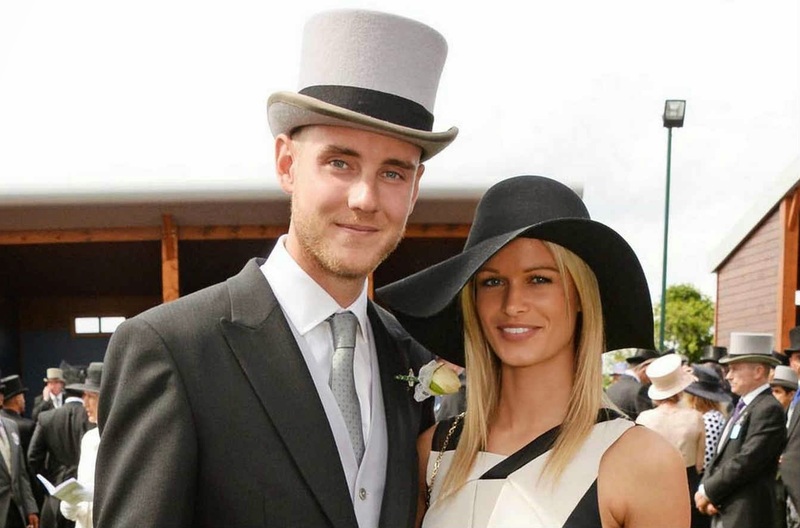 England fast bowler Stuart Broad complained that his room was hot and uncomfortable. He was not able to get a sound sleep. The taps in the bathroom suddenly came on in the midnight. When he switched on the lights, the taps themselves turned off. It was strange to notice the taps come on again after the lights were switched off. Broad freaked and requested to change the room. His girlfriend Bealey Mitchell, who works as a lingerie model and Zumba (a dance fitness program) instructor was also terrified. Broad recalled that he had also experienced spooky feelings during the Sri Lanka Test series last month in the same hotel. One night, during the series, he woke up in the middle of the night around 1:30 AM and was convinced of a supernatural presence in his room. He also informed about Ben Stokes who has also spent sleepless nights in his room on the third floor, which is the most disturbed floor in the hotel. A doctor who not only murdered his wife but also committed suicide on their honeymoon, manifests as a silver-haired Victorian gentleman with cloak and cravat. He was first spotted in 1973 by the BBC announcer James Alexander Gordon while he slept in Room No. 333. All of a sudden, Gordon awoke in the night to see a fluorescent sphere which eased itself into a manly shape wearing Victorian evening wear. When Gordon asked the identity of the apparition, it began to float towards him, with its legs cut off some two feet below the ground, arms extended, and eyes staring in destitute. Gordon was so scared that he jumped off his bed and fled. 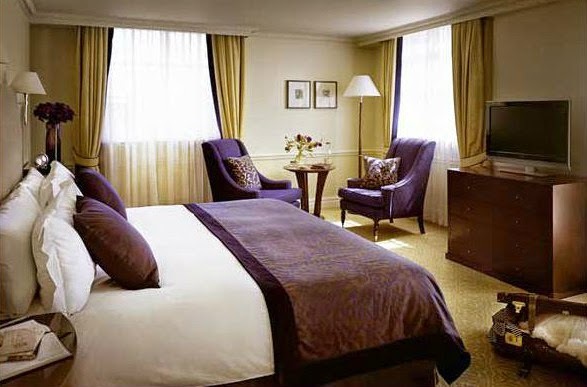 When Gordon returned to the room with night caretaker they found that the ghostly figure was leaning over the bed where he had just been sleeping. He is known to be sighted only in October and is one of the active spirits. A man with a gaping wound on his face, who tends to stick to the hallways. Emperor Napoleon III, who lived at the Langham during his last days in exile. He now likes the basement. A ghost who has a nick of tipping guests out of bed while they are sleeping. The apparition once shook the bed in Room 333 with such liveliness that the dweller fled the hotel in the middle of the night. A butler sighted wandering the corridors in his holey socks. A footman (attendants who ran beside or behind the carriages of aristocrats) in pale blue livery and powdered wig. He was spotted by a BBC staff. His presence is often accompanied by a sudden drop in temperature. 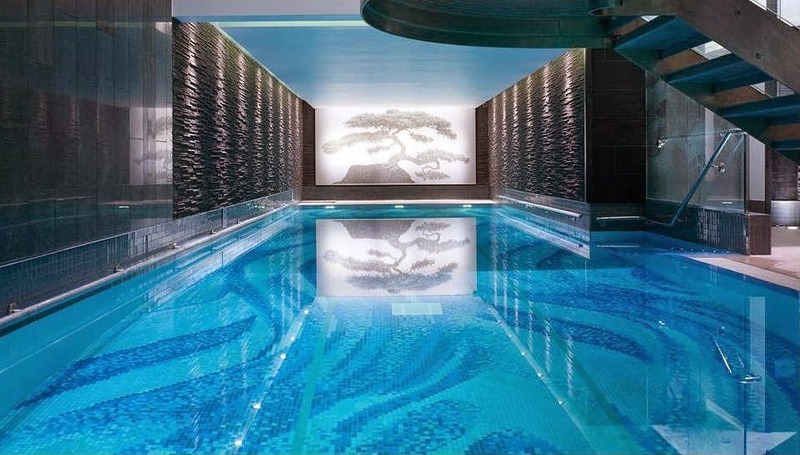 The Langham is the place where you can mix Halloween with luxury. 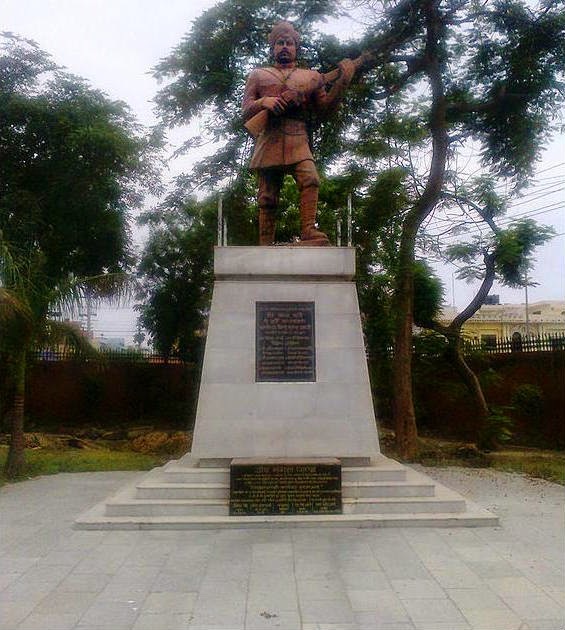 Meerut Cantonment is one of the earliest and the second largest Cantonment of India. 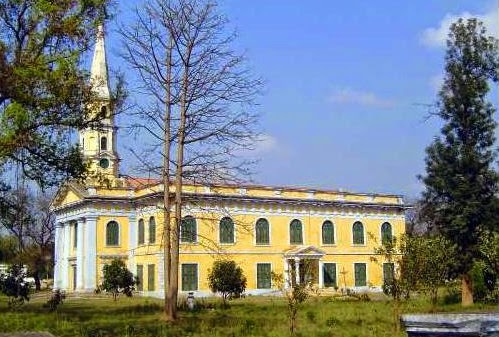 It is a historical site which was established by the East India Company in 1803 after the Battle of Laswari. The historic Sepoy Mutiny of 1857 triggered from the Meerut Cantonment by an unit of Indian army known as Kali Paltan (Black Army). 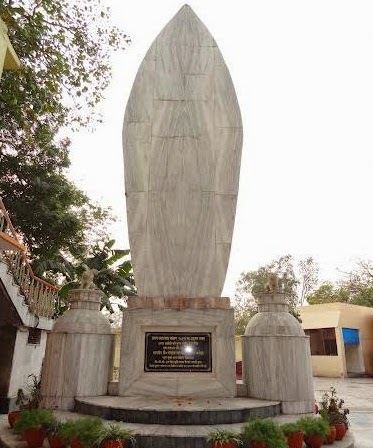 There was a temple known as Kali Paltan Mandir in close proximity to the sepoy barrack, which served as the meeting place for the freedom fighters and the officers of Kali Paltan. The temple was well surrounded by trees and had a well which was used by the soldiers to satisfy their thirst. In 1968, the old Kali Paltan Mandir was reconstructed while a hexagonal hall was constructed in 1987 for religious ceremonies and bhajans. A 4.5 kg gold plated kalasha was installed at the spire of the temple in May 2001. It is now known as the Augarnath temple. 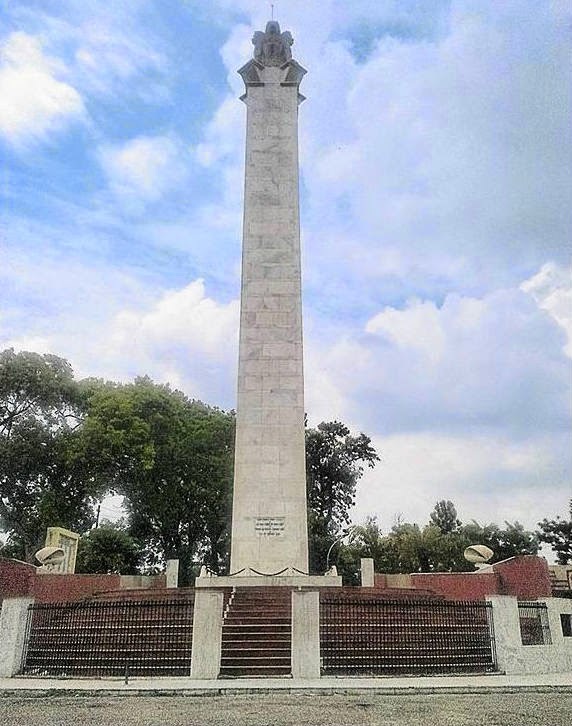 The Meerut Cantonment has a unique historical significance. It is a witness to historic events such as the Dilli Chalo Andolan, and the Revolt of 1857. 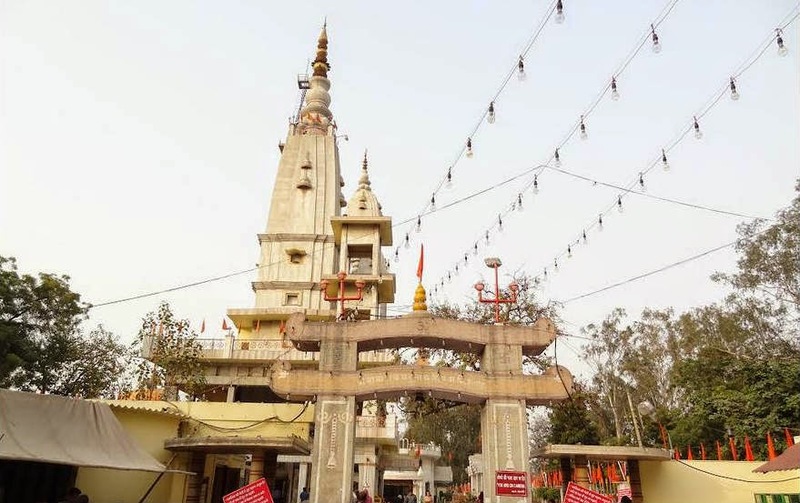 Apart from Kali Paltan Mandir, there are few other structures such as the Shaheed Smarak, Meerut Museum, etc in the Cantonment which bears the memories of the bygone era. 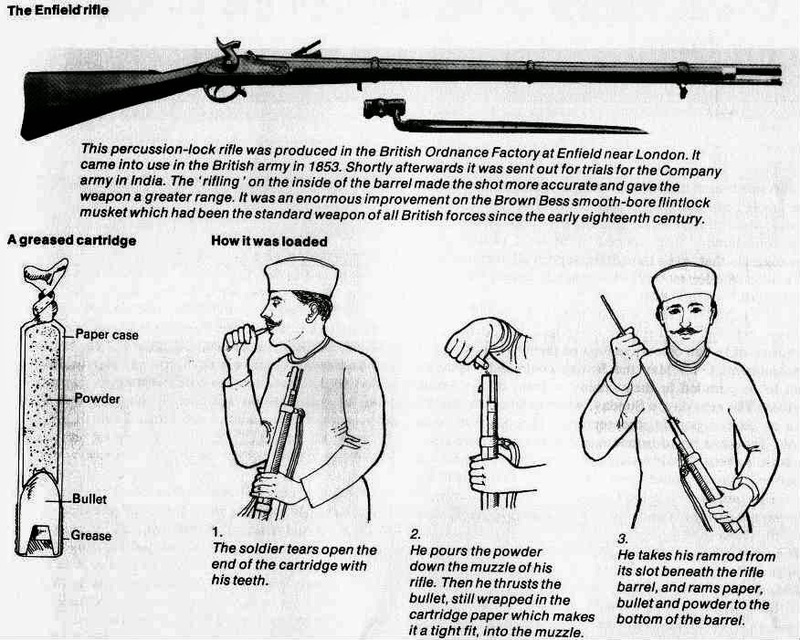 Apart from other issues, the proximate cause which initiated the mutiny was the introduction of greased cartridges (with fats of cows and pigs) of the latest Pattern 1853 Enfield Rifles by the British government in August 1856. 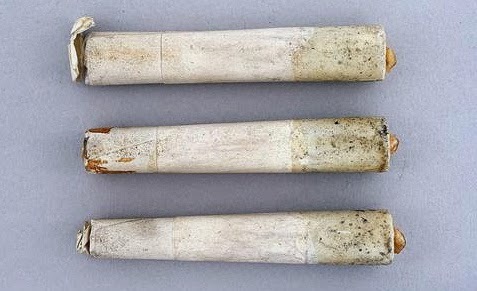 The outer covering of the cartridges were to be which had animal fat had to be opened by mouth before the rifles could be loaded. This was unanimously refused by both the Hindu and Muslim sepoys. The Hindu sepoys saw this as an attempt to break their caste as a preliminary to making them all Christians, while the Muslim troops were also disgusted and no less insulted than the Hindus: the revolts were about to happen. 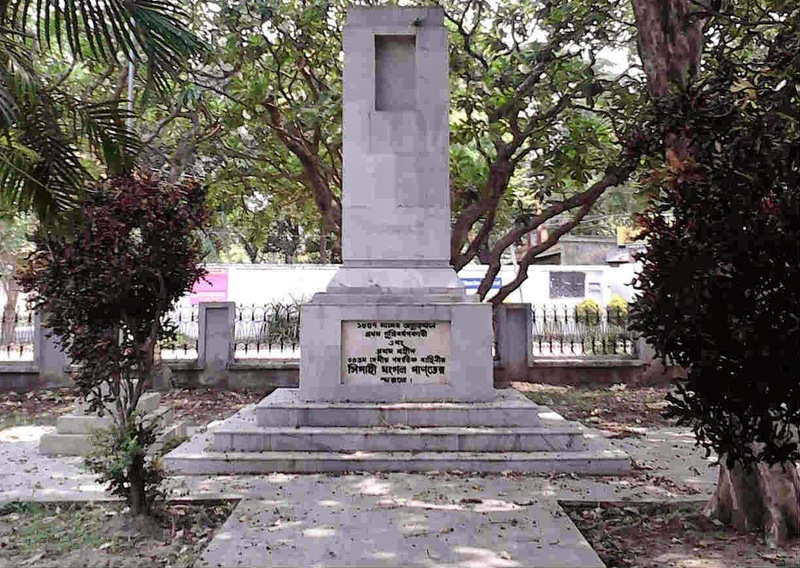 On March 29, 1857, Mangal Pandey, a sepoy of the Bengal Army at Barrackpore parade ground refused to bite off the end of his Enfield cartridge and opened fired on his sergeant Major James Hewson and Lt. Henry Baugh who came out to investigate the unrest later. However, some of the sepoys did not support him, and he failed to incite an active rebellion. 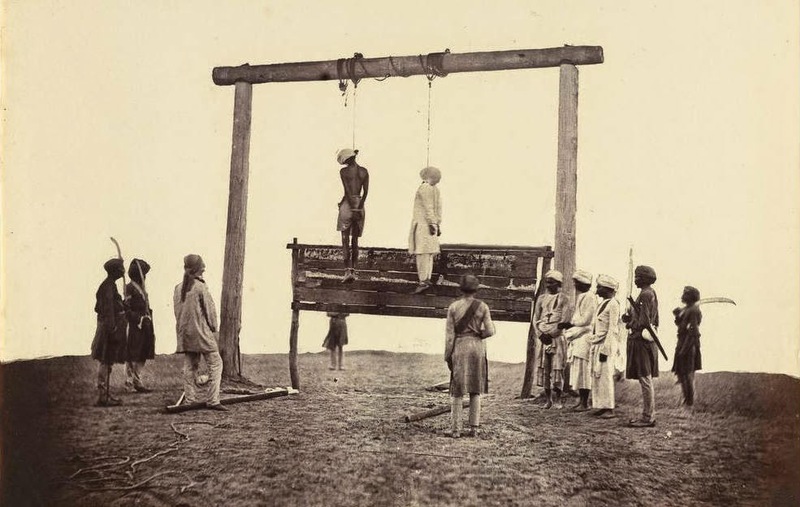 Pandey tried to commit suicide to avoid unhonourable death at the hands of British, but only succeeded to wound himself and was later court-martialled on April 6, 1857. He was hanged on April 8, 1857. Meerut army Cantonment had one of the largest concentrations of British troops in India consisting of 2,357 Indian sepoys and 2,038 British soldiers with 12 British-manned guns. On April 24, 1857 Lieutenant Colonel George Carmichael-Smyth, the commanding officer of the 3rd Bengal Light Cavalry, ordered 90 of his men to parade and perform firing drills. 85 men were court marshaled on May 9, 1857 as they refused to use the obnoxious cartridges. Eleven younger soldiers were imprisoned for 5 years, while the others were sentenced to 10 years rigorous imprisonment. Once imprisoned, the 11th and 20th cavalry assembled and broke rank and turned on their commanding officers. Kotwal Dhan Singh Gurjar opened the gate of the jail and all the sepoys along with 800 other prisoners escaped. After liberating the 3rd regiment, chaos ensued in Meerut, and the rebels engaged the remaining British Troops. 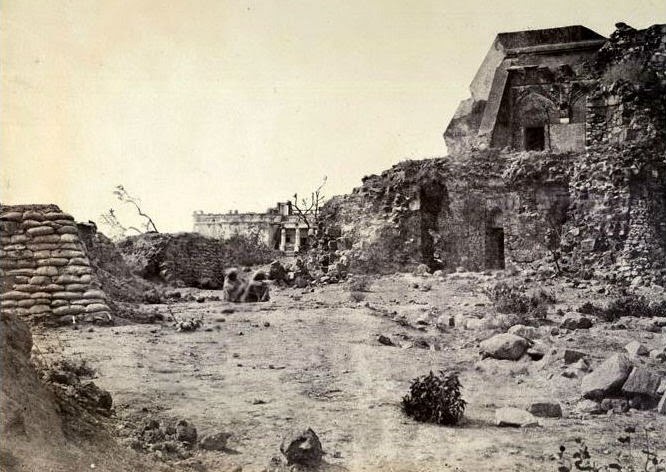 The garrison in Meerut was the first to record the event of bloody uprising on the evening of Sunday, May 10, 1857. The mutineers murdered every British they found and burnt half the houses in the station. The church was full of screams and frightened cries of ladies and children. 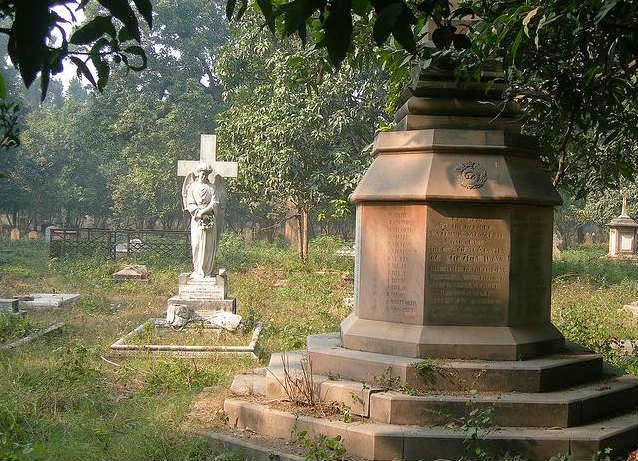 50 British including soldiers, women and children were killed in Meerut by the mutineers. 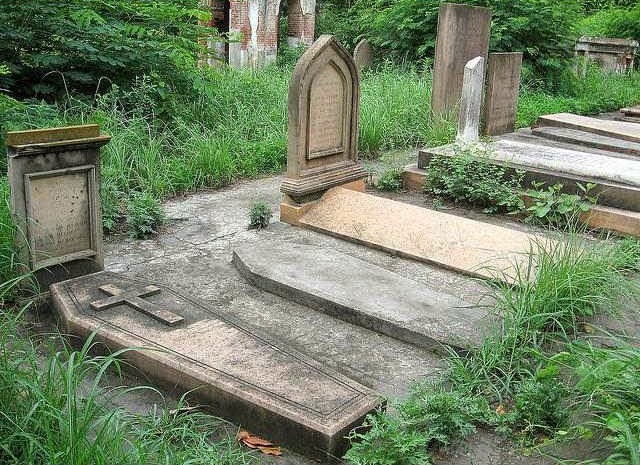 The church, which was established by Chaplin Reverend Henry Fisher on behalf of The East India Company in 1819 still maintains a burial register with the names of all those who died here that demoniac day. On the following morning the Britishers launched a military operation only to discover that the rebels had left Meerut and marched off to Delhi under the leadership of the Moghul Emperor Bahadur Shah. Three other regiments stationed in Delhi were ready for mutiny. On the conjunction of the two army units, the horrors of Meerut were repeated in the majestic city, and every European who could be found was massacred with disgusting atrocity. The agony of sudden unwarned violence added its bitterness to the overwhelming horror. Bravery and self-reliance might serve to turn the tide of thought for a time but not forever. On May 17, 1857, a week from the outbreak, the avenging force began to move forward. They defeated the rebels and drove them back into the city. 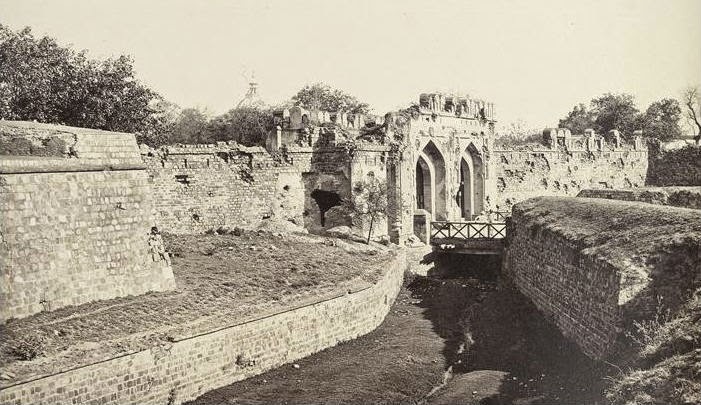 In Cawnpore (Kanpur), 200 European men, women, and children were murdered in the mutiny. Vengeance was swift and harsh: suspected mutineers were tied to cannons and executed. The British crushed the rebellion killing more than 100,000 Indians in the uprising and its aftermath. Some British troops adopted a policy of “no prisoners”. The painful screams of women on seeing their husbands and sons butchered was unforgettable. The revolt was crushed in six months and British power was restored by the next year. The British lost a maximum of 11,000 men (3/4th of them were killed by disease or heat-stroke). More than 100,000 Indians (sepoys and civilians) perished including more than 150 from Meerut but there are no reliable figures. 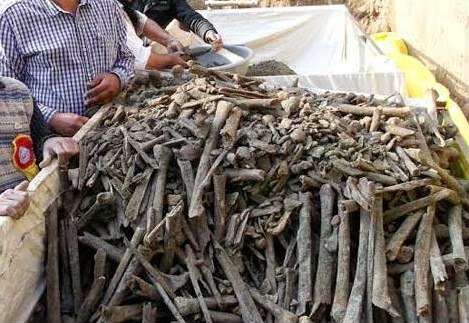 Both guilty and innocent were at peril and the scars of the rebellion could be seen widely - ruined cities, burned villages, dead fields, burial register of the church, etc. India was further burdened by a debt of £30,000,000. The shadows of the past still haunt the city. You may occasionally hear patter of hooves of the horses and cries of people trapped in the mutiny. Most of the people when going through St. John's Church avoid the ancient graveyard, which consists of magnificent sculptured tombs shining in moonlight. 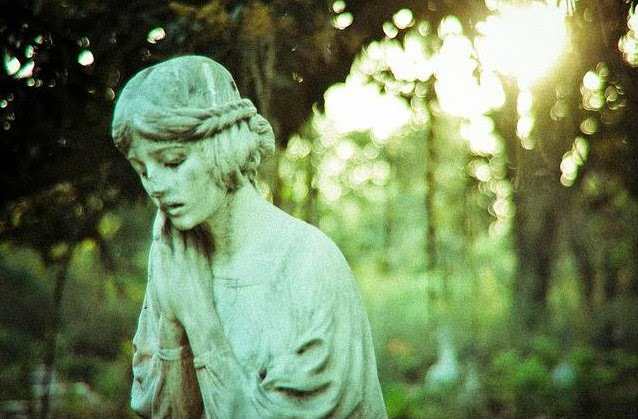 The locals believe ghosts of the sepoys still wander abandoned cantonment. 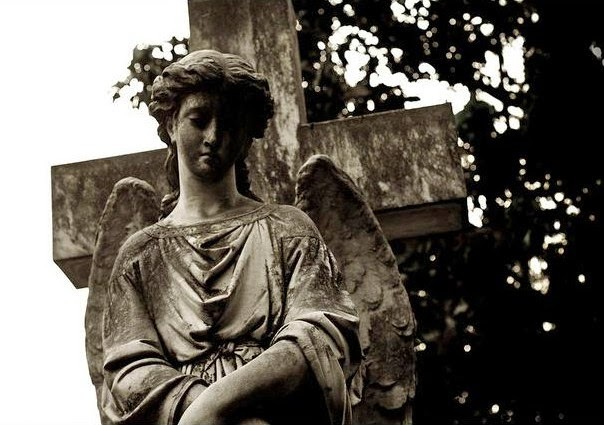 Visitors have often reported sightings of decapitated apparitions and spooky shadows. They claim sense supernatural presence and have heard mysterious sounds of dripping water. An IPS who spent a night in the abandoned cantonment says that the supernatural power can make things run around in circles and create animal-like sounds. You need to visit the abandoned Army Cantonment in the night to experience the eerie feeling. India is one of the oldest nations in existence, full of magical and enchanting historical sites and mystifying stories that were laid in the foundation of Indian cities, regions and even buildings. Haunted India is an attempt to uncover these amazing mysterious facts, and paranormal cultural heritage of India. 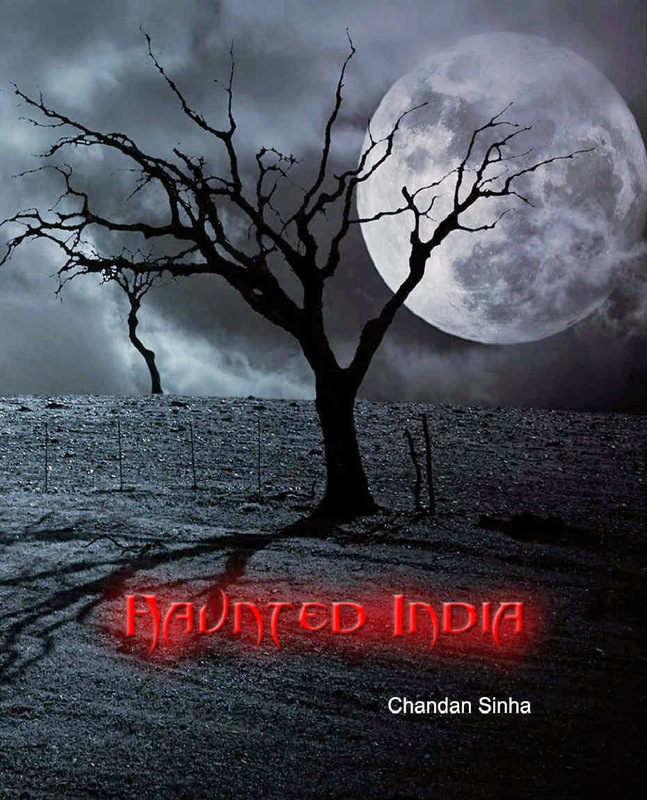 Explore the myths and legends of mysterious India in the EBook - Haunted India.